How can I tell if I’m looking in the right direction? What if I see something different than everyone else? How do I distinguish between the observed and the imagined? How can I recognize the exact boundary between reality and my experience of it? And, if I’m watching something, is it happening in real time or is it conditioned by my imagination and determined by the past to such a degree that it changes everything? Can I measure and accurately determine where I’m located? And if I measure, will the result be precise enough and is it possible to control it? To have it under so much control, that the status displayed will never change, always stay the same? If I get to know something very thoroughly, will I see it from all possible angles? Or, will I always have to only rely on the observation of a certain part of it? And how is it possible to understand it and get to its core? With what degree of certainty can we get to know ourselves – and to what degree will there always remain a force that doesn’t allow us to see the entirety of ourselves? This year’s Places of Act are inspired by thoughts on the principle of uncertainty. Briefly, it says that when we observe a phenomenon and we know its location, we can’t establish its speed with certainty. And it works both ways. Meaning if we know about its direction and speed, we cannot determine its location. Doesn’t that remind you of something? Don’t we all live everyday in this ambiguity, which shows us ceaselessly how movement and speed don’t let us tell where we are? When he defined “his” principle, Werner Karl Heisenberg had an electron in mind, but he actually laid the foundation for quantum physics. His theory also implies that uncertainty is really an image and the main principle of nature – its plan contains this kind of entropy. Uncertainty must be counted on in life, but also in exact sciences, such as physics or mathematics. Heisenberg was also convinced that whichever way things develop, the principle of uncertainty will remain true. In short, that in the context of the development, we cannot understand change in the moment it occurs: we can only live through it and identify it in hindsight. In addition, this year’s Places of Act offers various debates and conferences, where we would like to responds to the current needs of our artistic scenes. 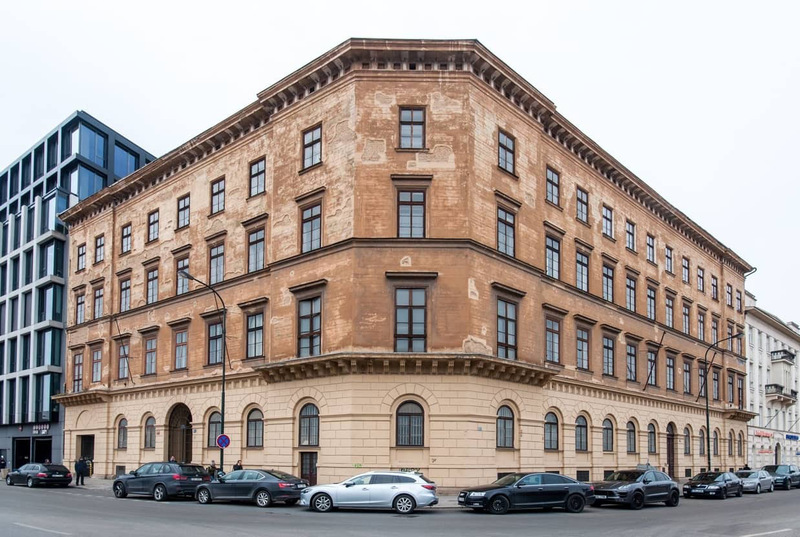 The topics will include conditions of grant procedures, current management of municipal and regional galleries, but also suggestions how to develop and change relations in public spaces or the future of the surroundings of Masaryk train station. We come back to the Desfours Palace premises. A few years ago, we celebrated our 20th birthday there, and now we return to the same space, as if we froze in time. We watch the footprints we left there. The Desfours Palace in Florenc, in the former Teissinger garden, was built in 1845 by Albert Klein von Wissenberg. His intentions were clear: it was a good investment in the area where the first train station, today’s Masaryk station, was about to be built. Two years later, however, the Austrian entrepreneur sells the unfinished building, to the aristocratic family of Des Fours Walderode. At the time, their residence was the chateau of Hrubý Rohozec, but they desired a property in Prague. The palace also used to have a garden or a greenhouse, the count František Vincenc was an art lover, and throughout the festival you can see what is left of his property. The rest is now forever forgotten – under a layer of stories, changes, personal ideas and efforts, some of which still can be seen in the house. What you see may be very uncertain. Artists: Dana Bartoníčková, Jana Bernartová, Filip Cenek, Magdaléna Kašparová, Alena Kotzmannová, Markéta Othová, Lucia Papčová, Janek Rous, Martin Dašek, Petra Doležalová, Marek Franz, Filip Nádvorník, Lukáš Kováčik, Vojtěch Kovařík, Martin Kubica, Jiří Kuděla, František Lozinski, o.p.s. František Kowolowski, Petr Lysáček, Jiří Surůvka), Šárka Mikesková, Michaela Rožnovská, Helmut Smits, Petr Švolba, Adéla Babanová, Joep Hinssen, Rosanne Jonkhout, Kaweh Modiri, Tomáš Svoboda, Joris Verleg, Magdalena Kwiatkowská, Mira Gáberová, Veronika Leová, Alexandra Yordanova, Nik Timková, Petr Philippov, Ondřej Brody, Eva Jiřička, Artur Magrot, Kateřina Szymanski,Veronika Franková, and others. 10. – 13. 10. 7:30 p.m.
6. 10. 2018, from 7:30 p.m. + 13. 10. 2018, from 6 p.m.
A dialog in a hairdressing salon is an opportunity to reflect on aging, the way we spend our time, and unintended consequences of longevity. Since human life is getting longer and longer, the dystopian picture of life-weary several-hundred-year-old individuals complaining of their fate will soon become a reality. An interactive video installation designed only for one viewer about the constant availability of reports on laptops, TV and smartphones which makes us permanent witnesses of complex situations all over the world. The project maps the twenty Italian regions, and includes photographs of dozens abandoned villages that may not even be on maps, dilapidated houses eroded by wild vegetation, or former summer camps almost frozen in time. This award for graduate students from European academies has been awarded to emerging talents since 2003. In addition to the opening exhibition in the House of the Lords of Kunštát in Brno, this year, the Uncertainty Principle also presents a special form of pop-up project focused on the growing tendency for the performative in contemporary art. Action art, summoning demons, iron shoes, the terrible lord of the forests, curatorial work like music, and art brut live – an open art action studio where the manual production of props freely transforms into an uncontrolled performance. A set of selected ingredients and precise instructions to alter your perception -find yourself in someone else’s memory, tailor fake news, go through a light massage or simply become part of the room. This live installation retraces relationships between one’s own body and the objects in the space. An installation inspired by daily creation of small drawings based on the principle of uncertainty. SIMONA GOTTIEROVÁ: Oh yes, here you are! The Post Bellum evening with teams of eighth- and ninth-graders. Their task was to interview witnesses living in their immediate vicinity. The short performances are varied, sometimes sad, sometimes cheerful and always touching. Come to see the highlights of the last year’s project in Prague 6. Are you blocked by the block exemption? This discussion will focus on the changes in the methodology of the grant procedure with regard to the block exemption and the related rules for the financing of the cultural sector. Experts will discuss the new issues in this area from the perspective of both the providers and recipients of grants and subsidies. 9. 10. 10 a.m. – 6:30 p.m. The aim of this full-day conference is to improve the co-operation of towns and local communities and to simplify the paper work associated with community modifications of public space. Community projects: A danger, or support for public administration? A discussion about the importance and benefit of community projects for villages and towns. Do politicians and officials make our lives more difficult or easier? A party to celebrate the 10th anniversary of ArtMap, the Guide to Contemporary Art – an evening full of music and maps will culminate in a live auction of art. Where and when does the West actually begin? Can we determine it geographically? How should we think about the tensions between the post-communist and post-colonial contexts in relation to the Western art? The discussion will deal with approaches to art criticism and curatorial practice based on the critical attitude to the concept of “the West”. 12. 10. 10 a.m. – 6 p.m.
A meeting and exchange of experience for selected city galleries, their curators and directors. The discussion will deal with the dramaturgy of the galleries, the proportion of presented Prague, foreign and local artists, the possibilities of production, and ways of exhibiting contemporary art. Everyone, not only the teaching staff, should keep up with times and learning new things. We hope that both you and we will enjoy a nice surprise, fun, and enlightenment! What is art research and why does it exist? What are the forms of art research abroad and in the Czech Republic? The presentation of the new ArteActa magazine and a professional workshop on art research. We wish Artalk all the best in the following years and look forward to celebrating its birthday with you. Primary school pupils and secondary and grammar schools students can take part in morning educational activities accompanying the exhibition of contemporary art on the three floors of the historical Desfours Palace in the centre of Prague. The programs focus on the connection between the past and present of fine art and the theme of “collecting”. from different areas of artistic production (fund-raising, law, self-promotion, marketing, personal development, coaching, feedback of projects participants, etc. ).